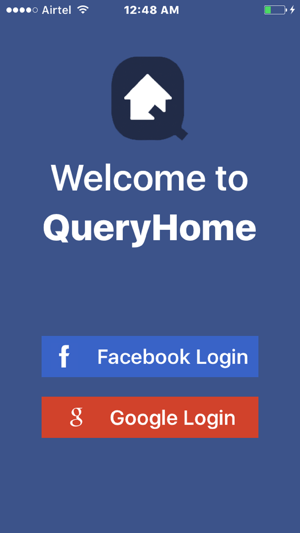 QueryHome is a Question and Answer (Q&A) App, which helps you to Ask Questions and get Answers from experts in social setup. 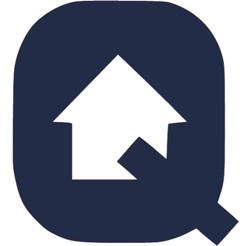 In QueryHome you may Ask Questions and receive Answers from distinct types of topics based on various categories i.e. 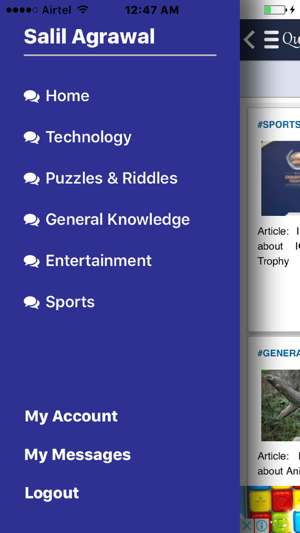 Technology, Business, Sports, Puzzles, GK and Entertainment. There are many number of Question & Answer tags present in QueryHome, you can follow any number of the tags of your interest, to get notified when a Question is Asked or Answer is generated, related to that topic. - Log in via Facebook or Google. - You can participate to Ask Questions or provide Answers while one the move. 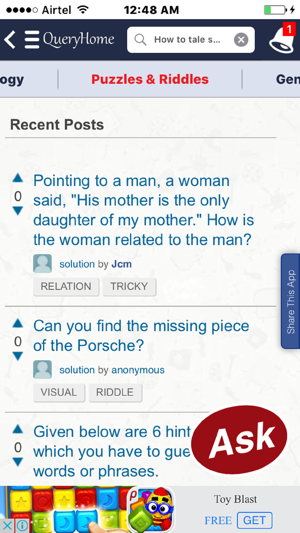 - Get points if your Question/Answer is liked by others. 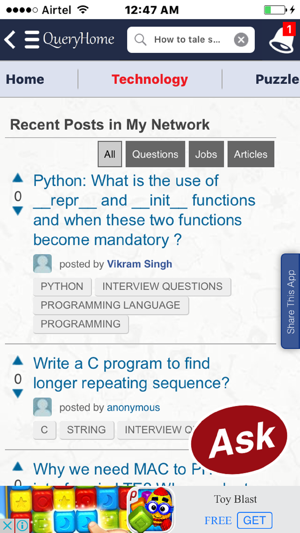 - Filtering, sorting and searching of Questions and Answers (Q&A). - Find friends and follow experts. - Discover high quality Question & Answer(Q&A) or Articles(Blogs). - Hide your identity by Asking Question anonymously. 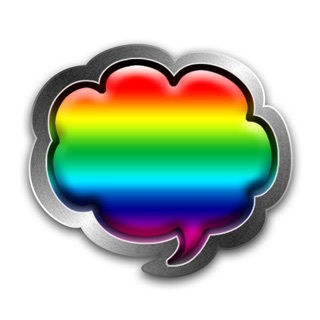 - Get notified on real time when an Answer is generated for your Question. - Write Blogs or Articles to share your thoughts. If you enjoy the Question and Answer (Q&A) App, we'd really appreciate it if you would rate us on App Store! Skip button added to allow user to proceed without login.